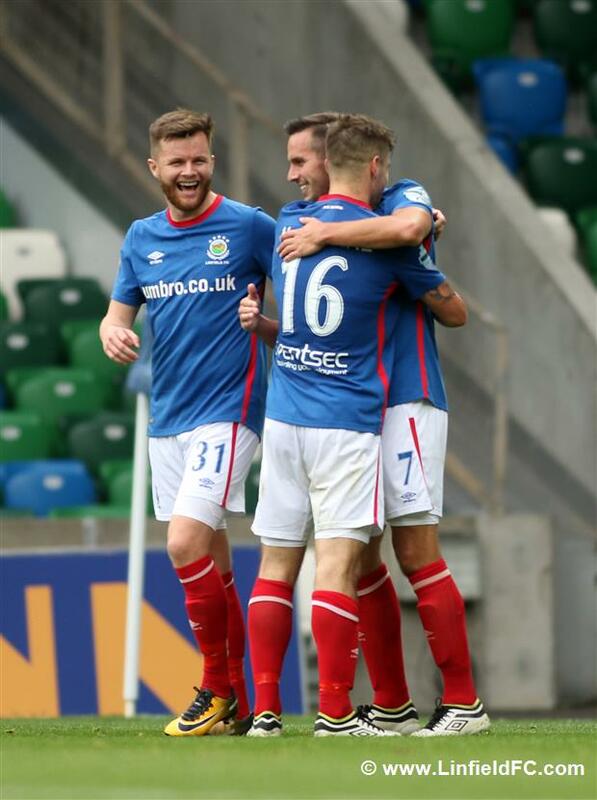 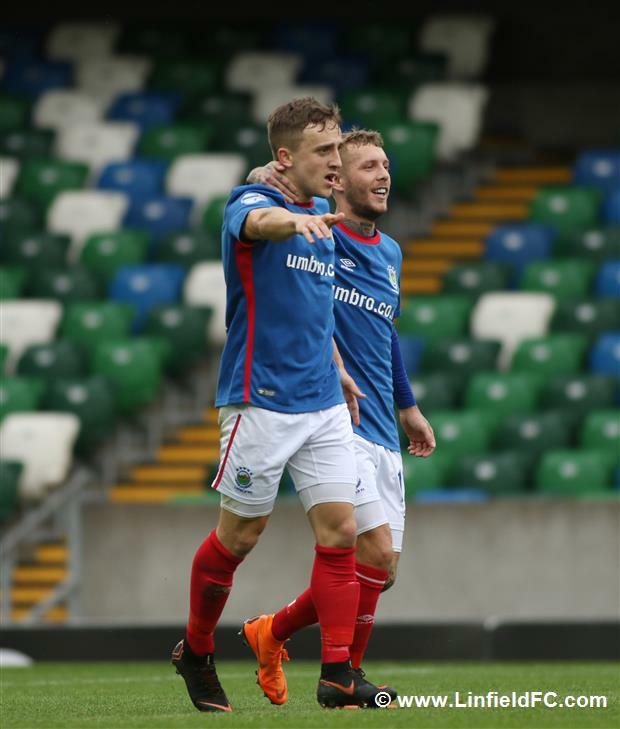 Linfield showed no mercy on managerless Dungannon Swifts at Windsor Park this afternoon as a brace from Cooper and a late Waterworth goal sealed a comfortable 3-0 win for the Blues to maintain their unbeaten start to the season. 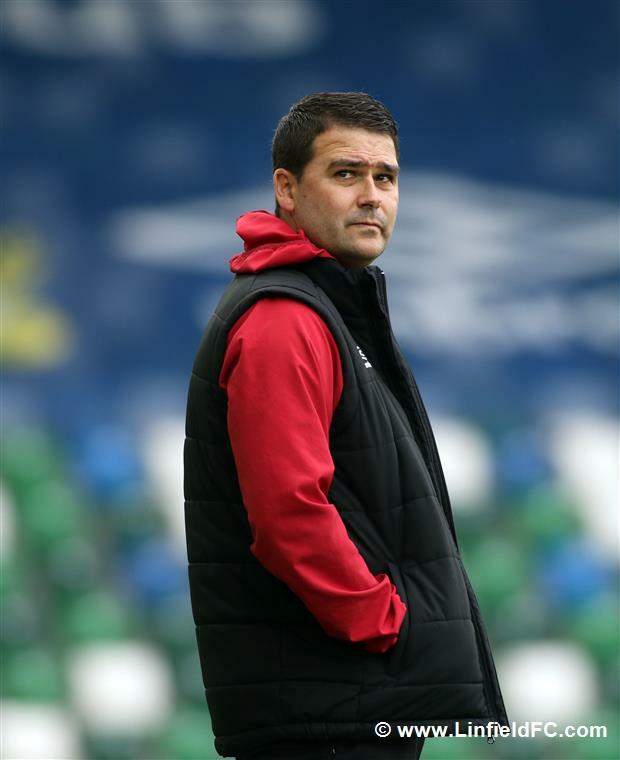 The Tyrone outfit had lost manager Rodney McAree to Coleraine 24 hours before the match, meaning Terry Fitzpatrick had to stand in on the touchline. 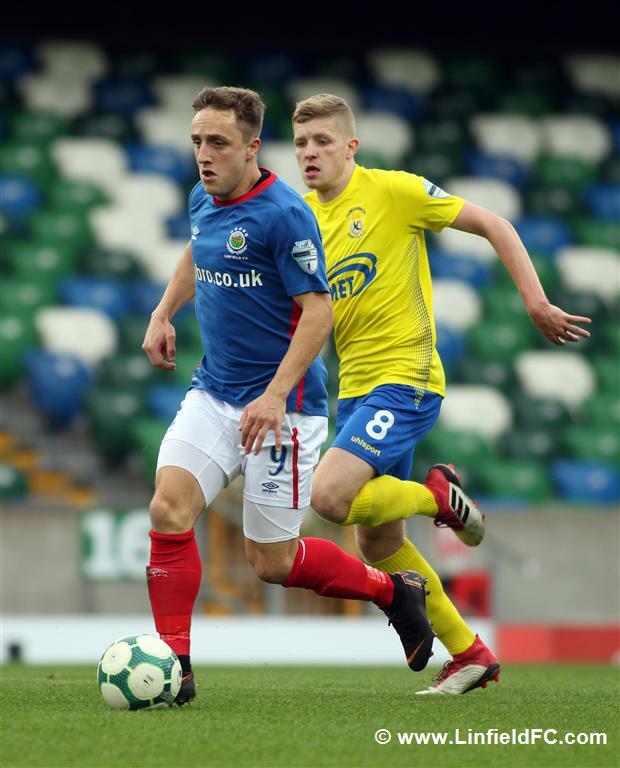 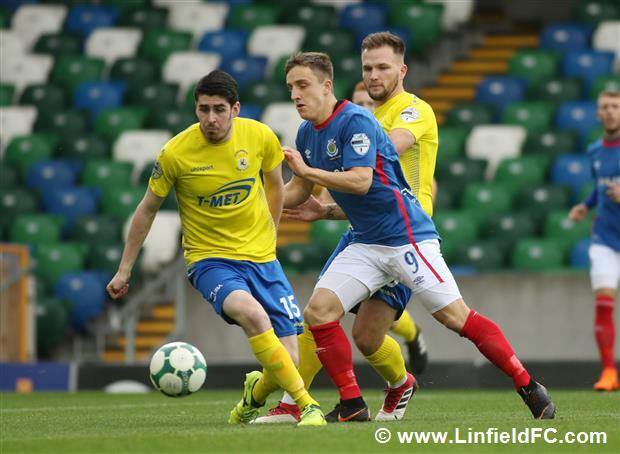 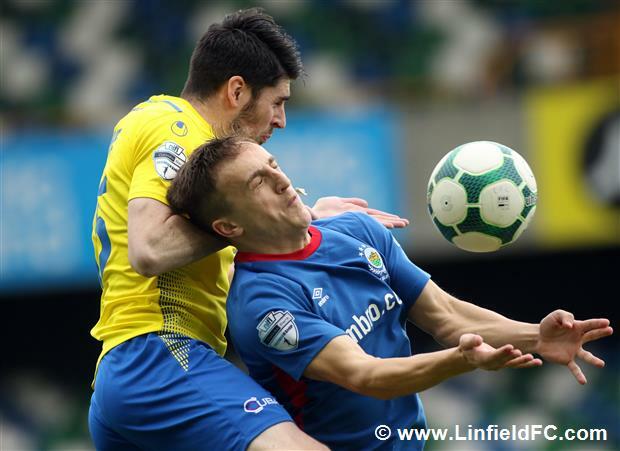 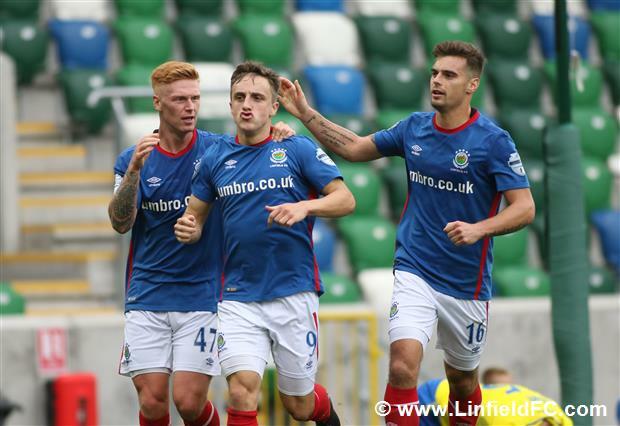 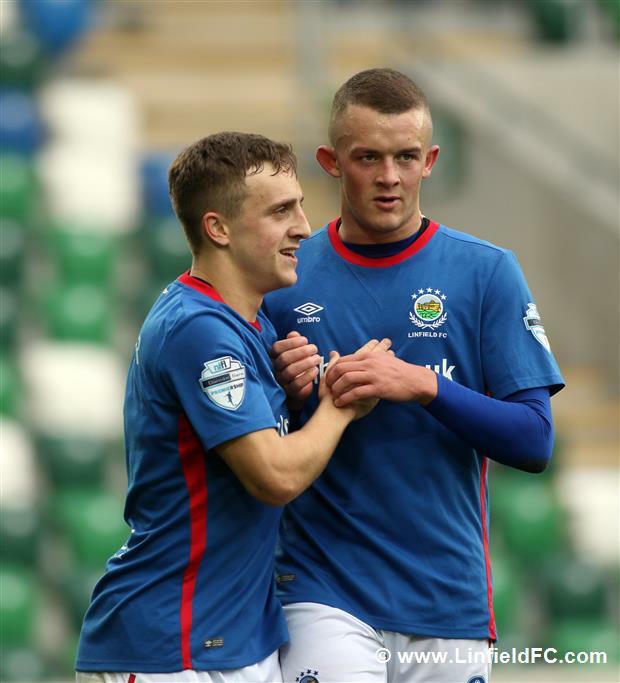 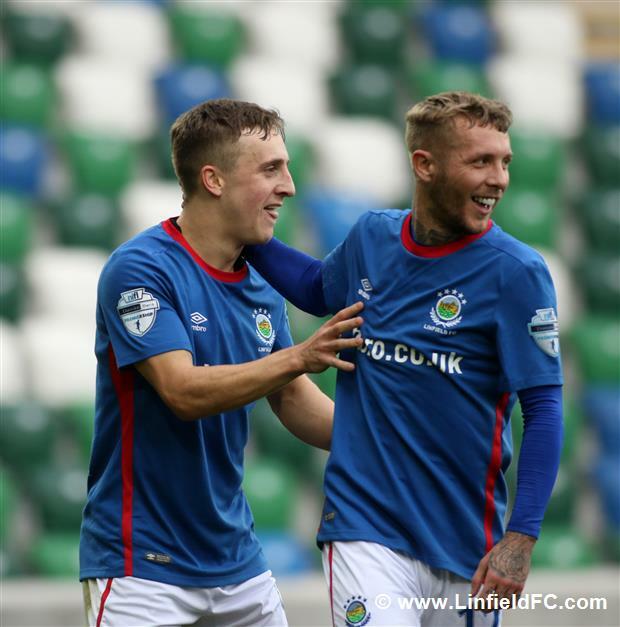 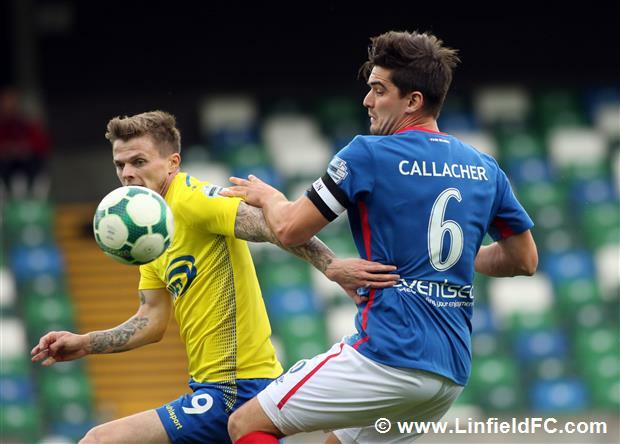 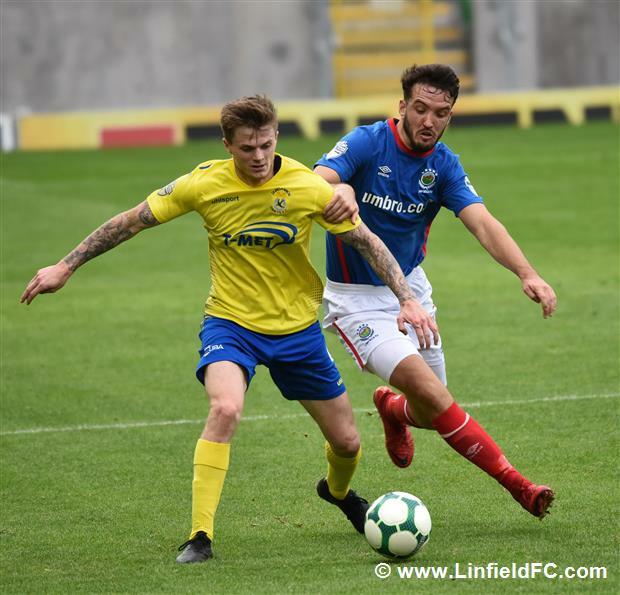 Although the Swifts put up a hard fight, Linfield’s quality ultimately proved too much for Dungannon who dropped to the bottom on account of Warrenpoint’s win against Cliftonville. 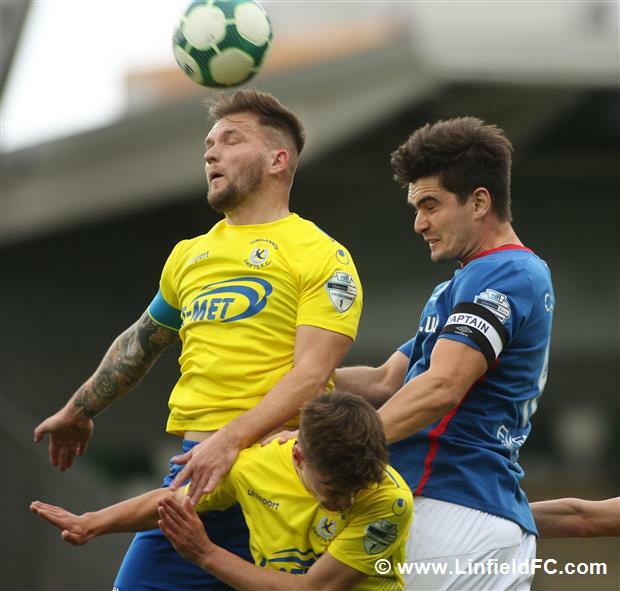 The Blues started with a high intensity and went close on a few occasions, not least when Kirk Millar fired a shot just over from Joel Cooper’s cutback. 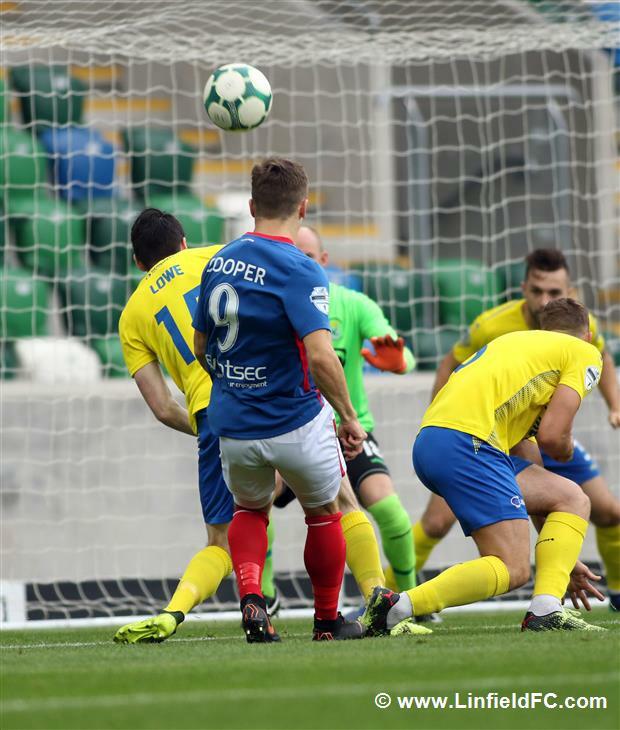 Joel Cooper also had a goal-bound shot blocked following a mazy run, before Michael O’Connor fired an audacious bicycle kick just wide, a great effort. 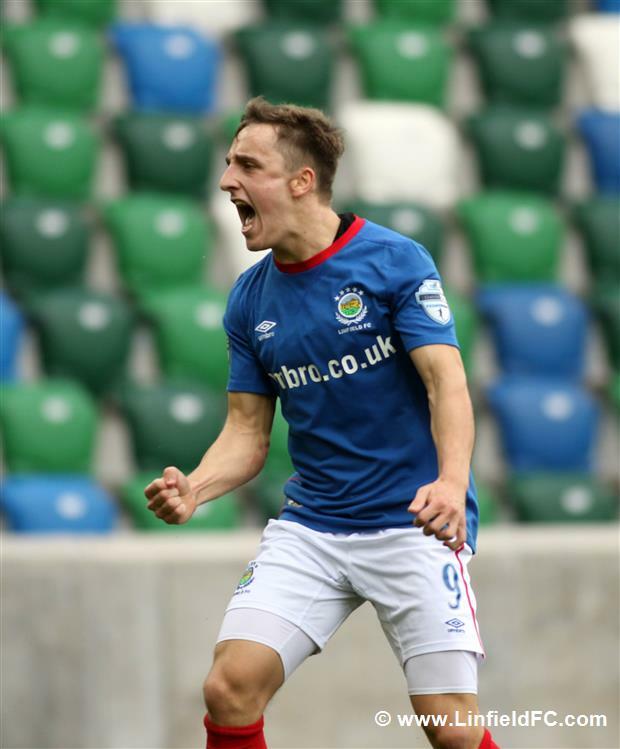 The deadlock was broken on 26 minutes and it was no great surprise that it came from the ever-lively Joel Cooper. 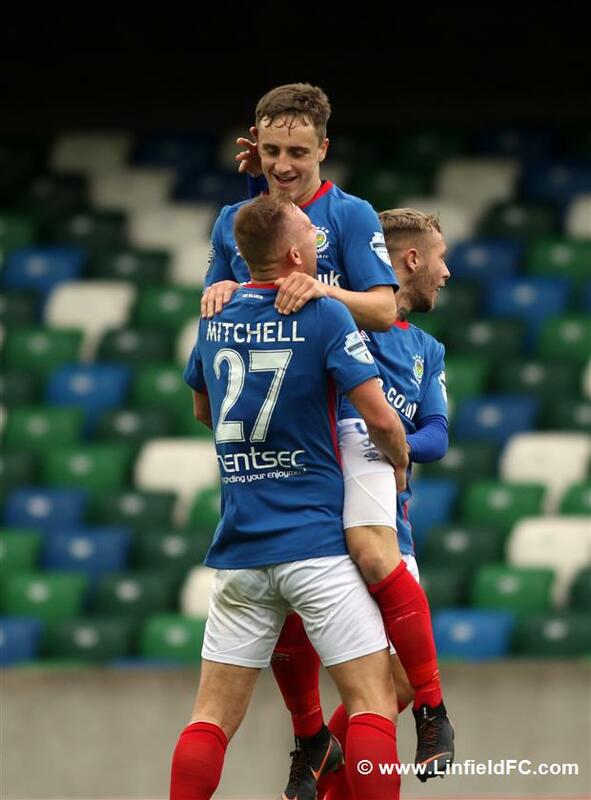 Andrew Mitchell showed great awareness and technique to ping the ball 25 yards out to his left for Cooper, who drove into the box and fired a low shot into the net with the help of a deflection. 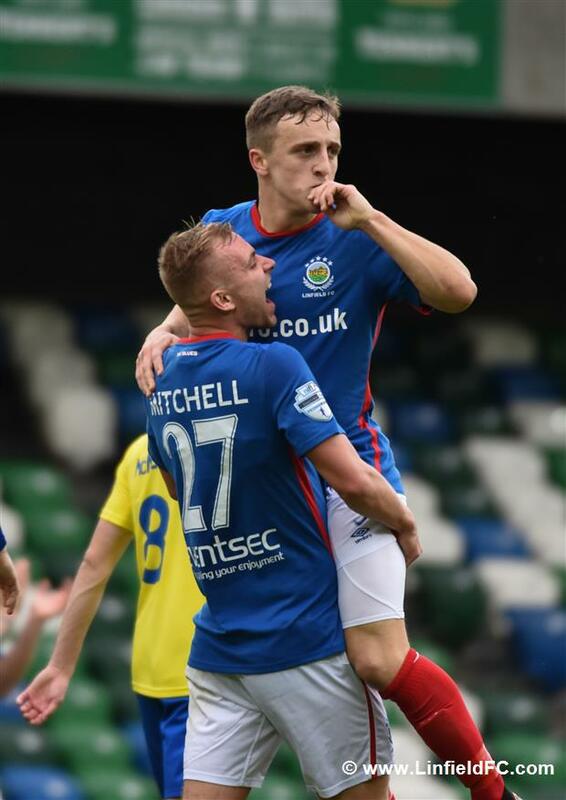 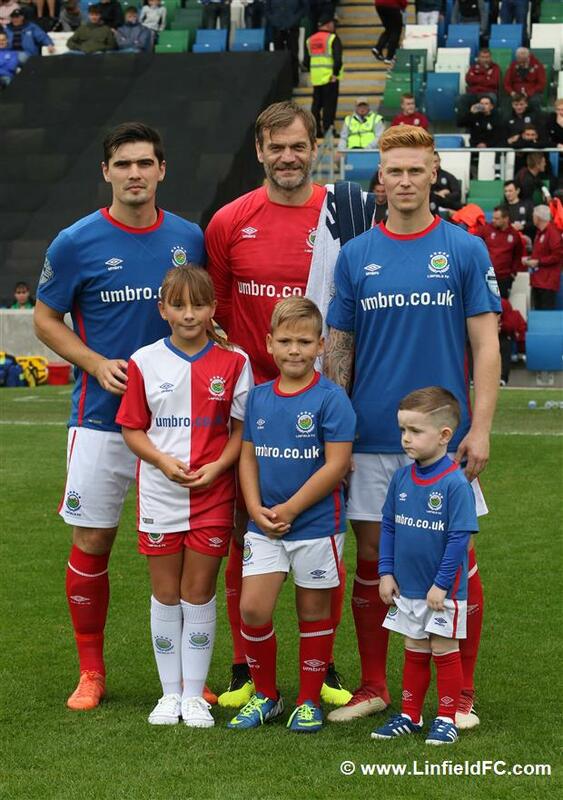 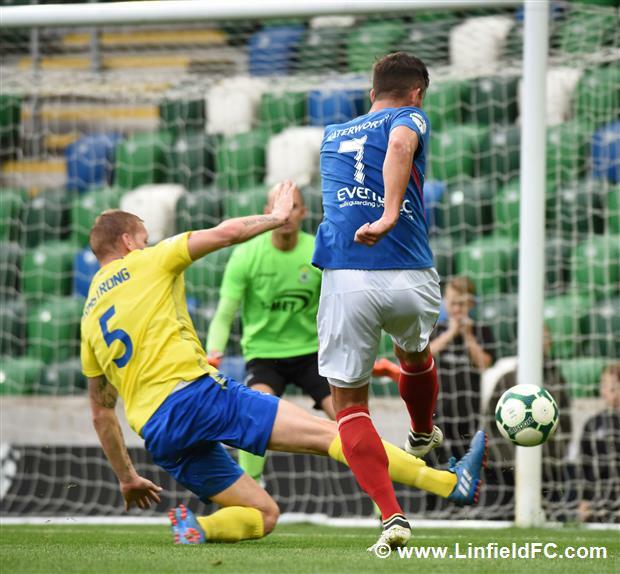 Cooper added a second for himself and Linfield two minutes later. 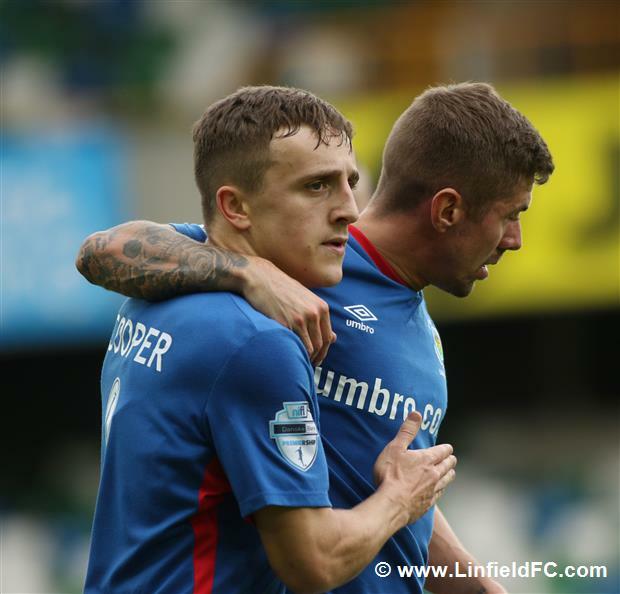 Daniel Kearns dropped the shoulder, fired in a cross and the ball fell kindly for Cooper who fired a clinical low strike into the net from 17 yards, his fourth goal of the season. 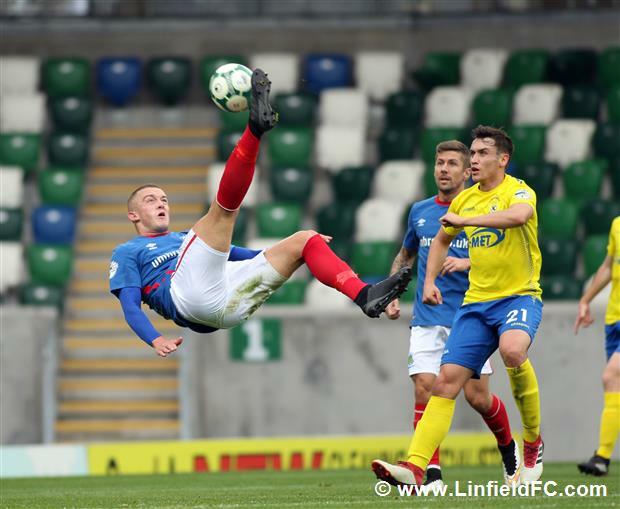 The Swifts almost got themselves back in it a short time later when former Linfield man Paul McElroy was picked out by Jarlath O’Rourke from the left wing but his shot crashed back off the crossbar. 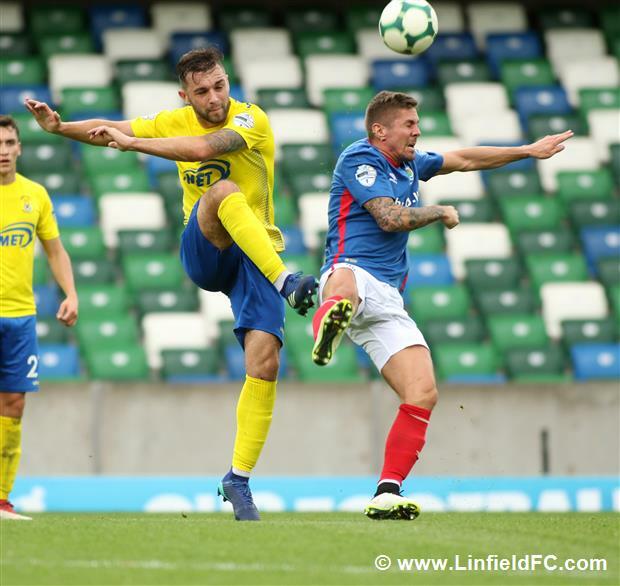 Veteran goalkeeper Stuart Addis denied Cooper a third before the break when he kept out the winger’s driven shot to ensure Linfield’s lead was only two at the break. 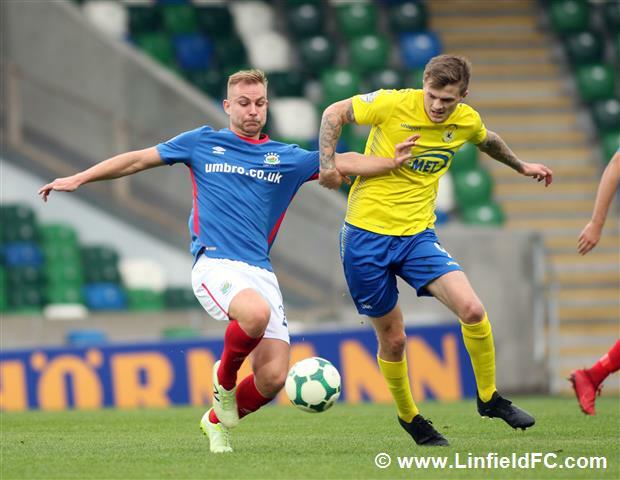 After a quiet start to the second half Dungannon almost got a goal back on 55 minutes when Chris Hegarty’s deflected shot had to be well saved by Roy Carroll, before Chris Casement did exceptionally well to get himself in the way of Ryan Harpur’s follow-up, a crucial block. 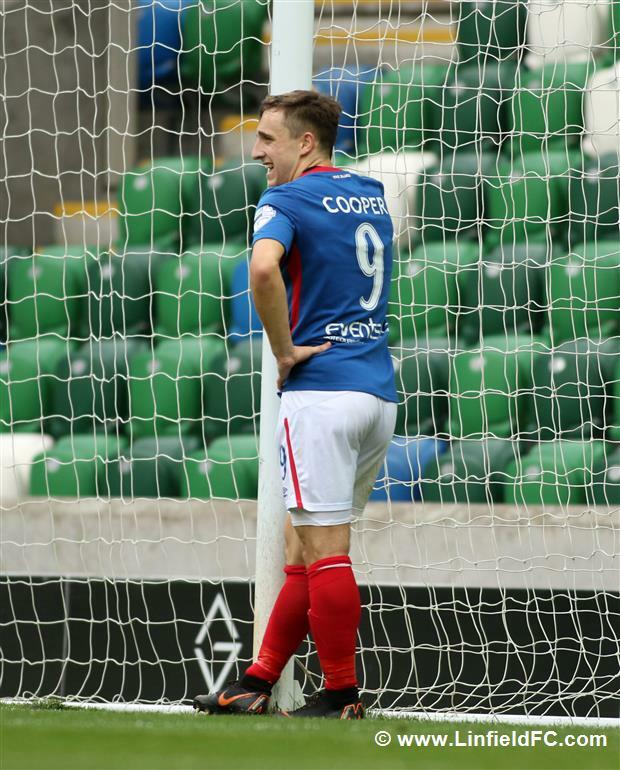 Cooper went close to sealing his hat-trick once again on 63 minutes when he picked the ball up in a central position just outside the box but he curled a strike narrowly wide of the bottom corner. 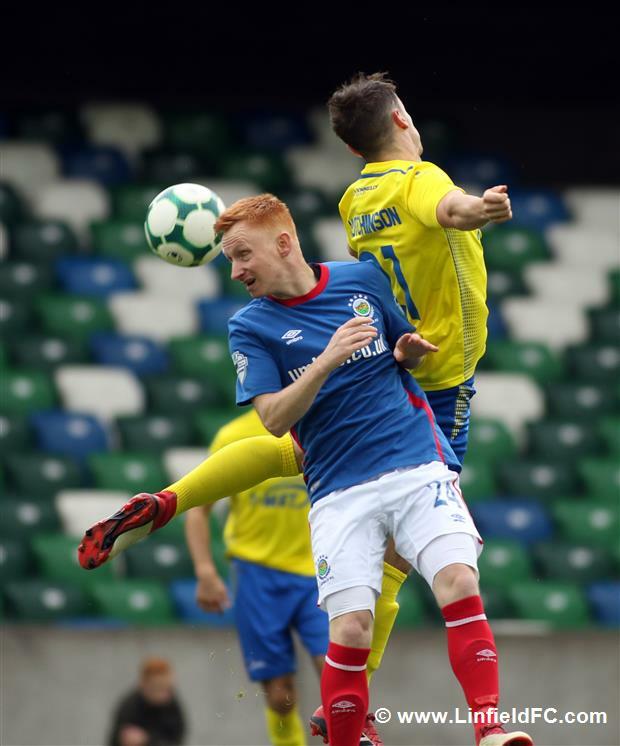 The Ballyclare native must have been thinking it just wasn’t to be when he was denied again, this time for an alleged handball after he’d fired the ball into the corner of the net. 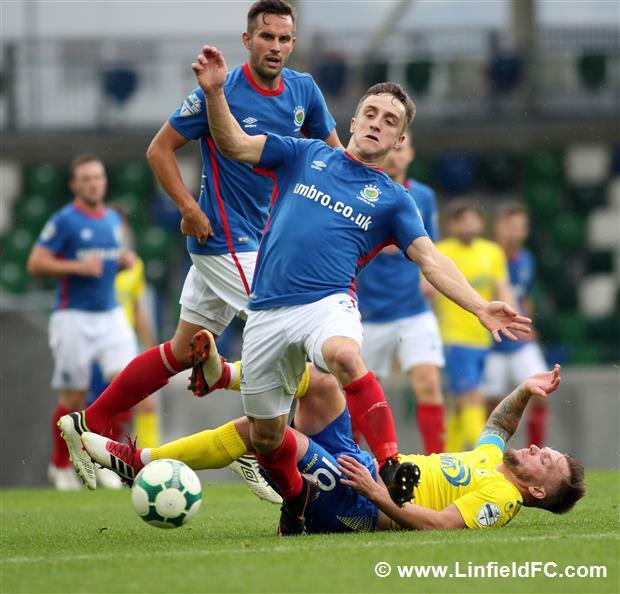 Half-time substitute Andy Waterworth was next to go close, heading just over from 10 yards from a pinpoint Chris Casement cross, as Linfield searched for a third. 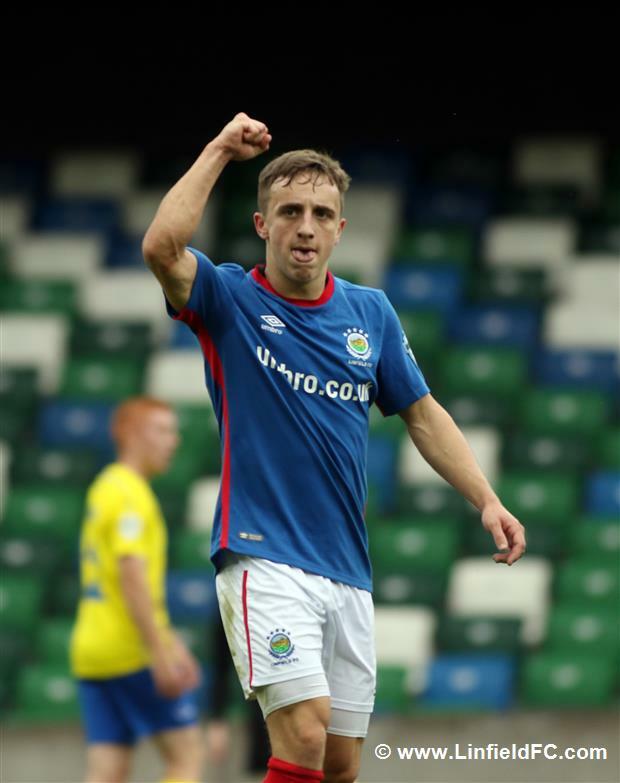 Waterworth kept up his good record against the Swifts, however, when he made it 3-0 on 83 minutes. 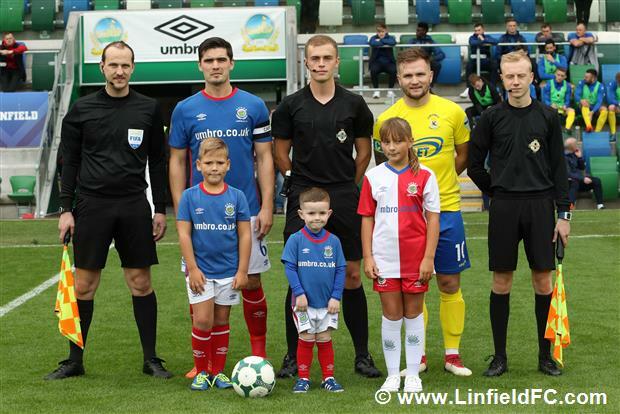 It was a well-worked goal with Kirk Millar picking out Niall Quinn at the back post – he in turn slid the ball across to Waterworth who slotted the ball past Addis for his third league goal and eighth in all competitions.